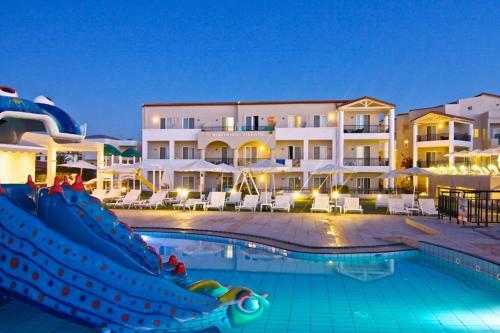 This Missiria hotel is a few metres from sandy beaches and 2.5 km from Rethymno�s centre. It has outdoor pools and a restaurant with Cretan Sea views. Free parking is available. 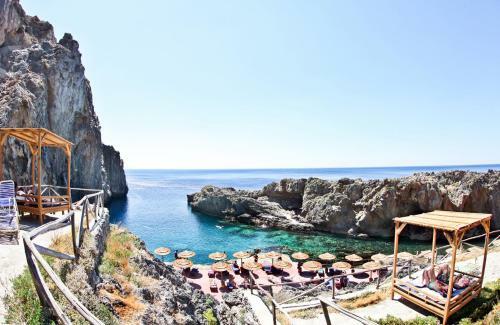 This 4-star Rethymnon Beach hotel has a Blue Flag sandy beach, equipped with loungers and parasols. Atlantis Beach Hotel offers rooms with balconies, large gardens and a 170-m� swimming pool. Featuring a swimming pool with sun terrace, Minos Mare Hotel is right at the seafront of Platanias Beach. It features a children's area and offers modern rooms that open to a balcony. Free Wi-Fi is available in public areas. The Sentido Pearl Beach Hotel is situated right on the Rethymnon beach. It has 2 swimming pools with free sun beds, and a fitness centre with indoor pool and hot tub. Offering a shared pool and a restaurant, the beachfront Swell Boutique Hotel is located in Rethymno Town. It features elegantly decorated accommodation with a furnished balcony and views over the Cretan Sea. Free WiFi access is available throughout. This village-style complex is situated in Bali, 700 metres from the beach. 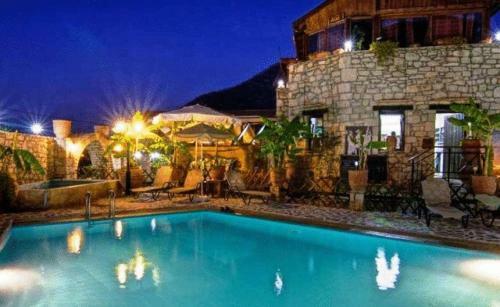 It offers self-catering apartments, 3 swimming pools, a sauna and it has its own small raki distillery. Set in a 19th century mansion, Antica Dimora Suites offer luxurious accommodation at the heart of Rethymnon�s Venetian Town. Just steps away from the seafront, in the centre of Rethymnon, this modern hotel offers easy access to the entrance of the old town with its narrow streets, medieval castle and picturesque Venetian port. Standing right on the shore of the Aegean Sea, Iberostar Creta Panorama & Mare is an elegant and peaceful complex boasting a pool complex of 6 pools, a fitness room, hot tub, sauna and 3 restaurants. 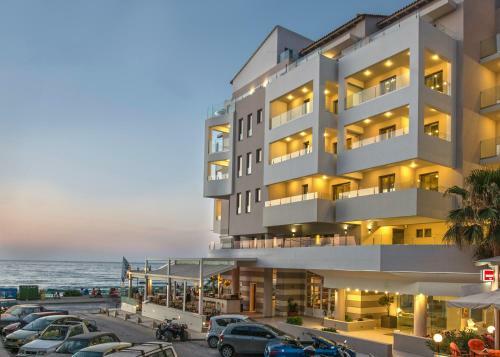 Located right on the white sandy beach of Rethymno, the 4-star Grecotel Plaza Spa Apartments features 2 freshwater pools, a children's pool and a spa centre with indoor pool. A sea-view restaurant and a poolside bar are also available on site. 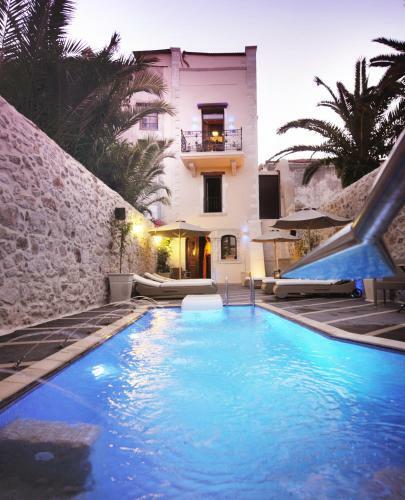 Casa Vitae Hotel is situated in the old town of Rethymnon. It offers rooms and suites with tea/coffee maker and fridge, and a courtyard with free Wi-Fi. Surrounded by lush greenery, quietly located on the beach of Karavos, the traditionally built Kalypso Cretan Village offers a swimming pool, tennis court and spa centre. It features rooms with balcony overlooking the Libyan Sea or the garden. Perfectly situated in the heart of Rethymno�s old town, this 14th-century Veneto Boutique Hotel offers beautiful rooms with original Venetian features along with free internet access. Built in the 15th century, the Palazzo Vecchio Exclusive Residence is an authentic Venetian mansion and one of the oldest of Rethymnon. It is situated in a quiet location, below the Venetian Fortress and just 50 metres from the sea. 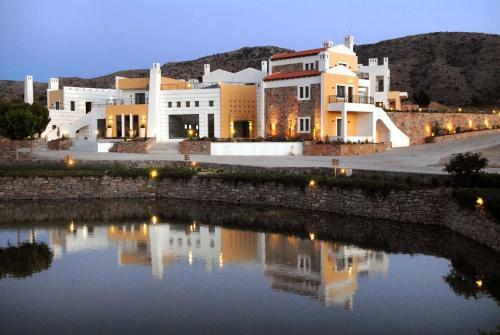 Iberostar Creta Marine enjoys a privileged beachfront location, overlooking 3 private coves. It is situated 3 km from Panormo and 18 km from Rethymno. Free WiFi is available and free, on-site parking is provided.